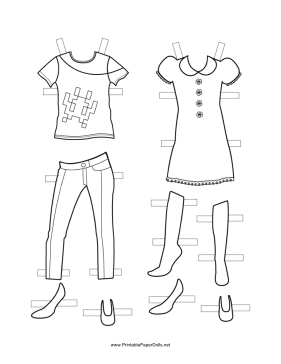 These fun Girl Paper Doll outfits are great for spring and summer styles. They are free to print, color and cut out. One outfit features a t-shirt with a crazy design and tight jean pants. The other is a dress with a wide collar, puffy sleeves and flower buttons down the front.